The last weekend I went to the cinema to see the last film by Quentin Tarantino. Last weekend I went to the cinema to see / watch the latest film by Quentin Tarantino. ¿Por qué last weekend y no the last weekend? ¿Por qué the latest y no the last? En este post explicaré cuándo se usa last con y sin the delante y cuándo hay que utilizar the latest en lugar de the last. Se usa last sin the delante cuando se refiere a un tiempo pasado. Se usa the last con the delante cuando se refiere a el último o la última. Last month was the hottest of the year. El mes pasado fue el más caluroso del año. People are usually very busy during the last month of the year with Christmas preparations. La gente normalmente está muy ocupada durante el último mes del año con los preparativos de Navidad. In the last match of his career, Zinedine Zidane was spectacularly sent off in the 2006 World Cup final. En el último partido de su carrera, Zinedine Zidane fue expulsado espectacularmente en la final del Mundial de 2006. 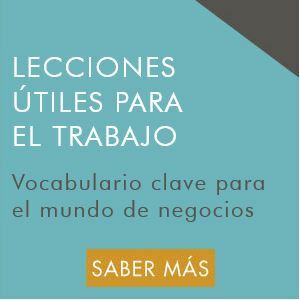 Entonces, ¿cuál sería la diferencia entre las siguientes frases? 1. Last year was very stressful for me. 2. The last year was very stressful for me. 1. El año pasado fue muy estresante para mí. 2. El último año fue muy estresante para mí. Se refiere a los últimos 12 meses de un periodo y no al año calendario. Tanto the last como the latest se puede utilizar para el último / la última pero ¿cuál es la diferencia? “The last is past”. The last se refiere a algo pasado, último en el sentido de anterior. The latest se refiere a algo reciente o actual. Se utiliza the latest en este ejemplo porque la película está en el cine ahora así que la última película se refiere a algo presente o actual. Did you see the last film by Quentin Tarantino when it was in the cinema? ¿Viste la última película de Quentin Tarantino cuando estaba en el cine? The latest album by Arcade Fire, Reflektor, has reached number one in the UK charts. El último disco de Arcade Fire, Reflektor, ha llegado a número uno en la lista de éxitos del Reino Unido. The last album by Leonard Cohen, Old Ideas, was released in January 2012. El último disco de Leonard Cohen, Old Ideas, salió en enero de 2012. Las últimas noticias tratan lo que acaba de suceder o lo que está sucediendo ahora, es decir, algo reciente o actual así que se dice the latest news. Ahora te toca a ti un poco de práctica. ¿Cómo se traducen las siguientes frases? 1. El año pasado fuimos a Dinamarca para visitar algunos amigos. 1. Last year we went to Denmark to visit some friends. 2. The latest book by Noel Coward has received very good reviews. 3. The last book I read was a historical novel set in London. Espero que te haya sido útil el post y que ahora tengas claras las diferencias entre last, the last y the latest. Muchas gracias Garreth ;-), ha quedado claro!! Una cosa, si con “Last one was that…..” te referías a “La última vez/explicación fue que…..“, lo correcto sería decir “The last one was that…..“. Thanks Gareth, I need practice. I suppose same rules apply to “next” and “the next”. When you write about something that is going to appear just below current paragraph you should say “next thing” but when you write about something that is going to appear below but after some other thing you should say “the next thing” previously alluding the thing that was before it. Is this correct? The rules for “next” and “the next” are indeed the same as for “last” and “the last” but the examples you’ve given are not correct. In the first case you should say the next thing and in the second case, after that or in the paragraph after that. In Spanish, both “next” and “the next” would be either el…. 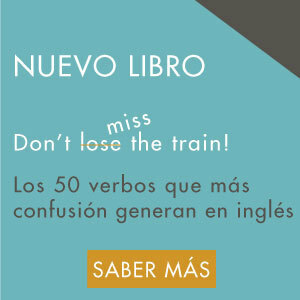 que viene or el próximo so there isn’t the same distinction as there is with “last” (pasado) and “the last” (el último). 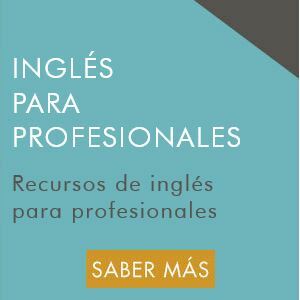 next month = el mes que viene, el próximo mes, i.e. December. Basically, “the” is always used with “next” except when you refer to an already fixed period, for example, a week (Monday to Sunday); a month (April, May, June, etc) or a year (2012, 2014, etc). Gareth, you should add a heart-icon or a thumbs-up-icon, next to each of your brilliant blog entries, it would be difficult to establish an order, but definitively this one will receive my maximum grading. That’s a great idea Juan! Or maybe an Amazon-style star-rating system. I’ll look into it. and I’m glad the post was so useful for you!! Me salvaste de un aprieto, muchas gracias. When did you last buy a 20-euro car? When was the last time you bought a 20-euro car? ¿Cuándo fue la última vez que compraste un coche de 20 euros? Hola Gareth!!! 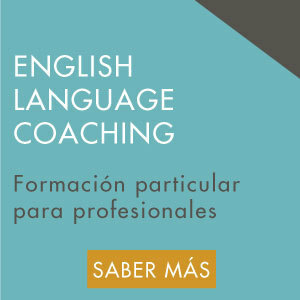 Por favor, podrías decirme cómo se traduce al inglés la siguiente frase en espanol? Todos me contestan cosas diferentes. “”Quiero que siempre vengas””. I want you to always come. or I want you always to come. Te agradezco cualquier comentario. Tus explicaciones son excelentes. Ambas traducciones son correctas. Personalmente, creo que I want you to always come suena mejor aunque los puristas dirían lo contrario. Sin embargo, hoy en día no hay problema en meter algo entre el to y el verbo.